Eliminates static build-up. Spring-operated, automatic retrieve reles. 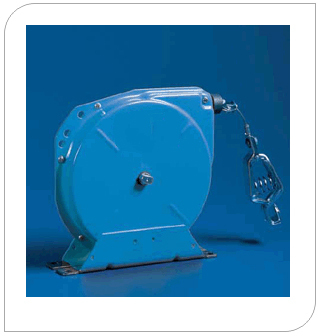 The 2050-Y Reel with a "Y" bridle allows two ground connections at the same time, providing maximum efficiency. Stranded steel aircraft cable is1/32"
Standard models provide ratchet lock.